Indeed, by the 1890’s the term Blazer was commonly used in reference to all those things, but additionally it had come to be associated with the dark-navy, brass-buttoned, double-breasted ‘reefer coats’ the Royal Navy distributed to sailors to wear when reefing the sails on deck in poor weather conditions. The use of the term was also compounded by the uniforms of the crew of H.M.S Blazer, who was known for wearing bright blue and white striped coats, not dissimilar to collegiate boating blazers, prior to the standardization of the Navy’s uniform. It is a little-known and often overlooked fact that the early 20th century a custom blazer was a hybrid born of three different dissecting garments; the reefer coat, the colorful sports jackets that were considered appropriate active wear during the 19th century, and the collegiate boating blazer. Precisely how the three came to be molded into one is unknown, but it is clear that the custom blazer’s origin is of the elitist, associated with uniformity, prestige and social exclusivity. 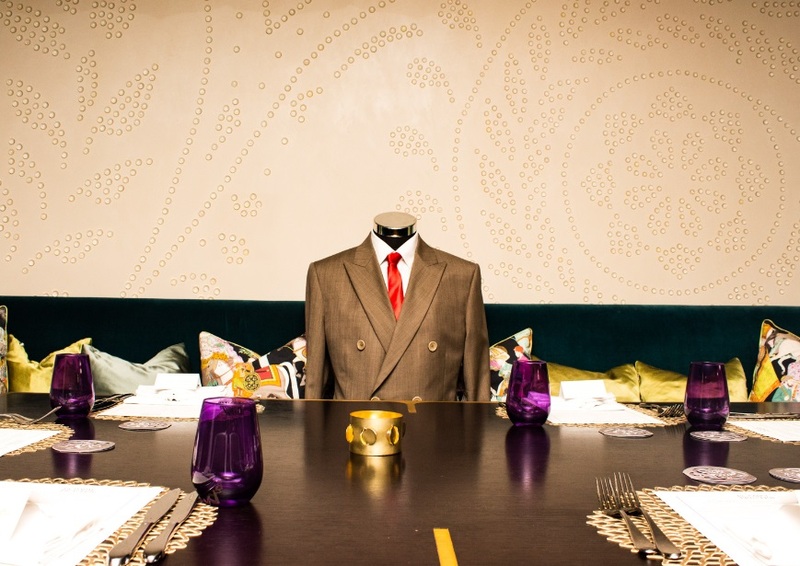 Though it persists in this form, Knights & Lords Bespoke Tailors feel it is high time to acknowledge the democratization of the tailored blazer that has taken place is luxury menswear. Almost out of nowhere the blazer has shrugged off its stuffy and hitherto rather narrow parameters to become a garment that defies definition or any form of a narrow set of rules. As dress codes have softened over the past three years, the custom blazer has become the best barometer for the way in which men’s style is changing. However, if the blazer has morphed into something more fluid, what is it that has allowed it to evolve? The answer is simple as explained by Ashish & Pawan of the highly venerated bespoke tailoring house Knights & Lords. It is simply a matter of taste. It is something that is easier to sense than to define and hence cannot be confined to the rule of the law. After all, all blazers are sports jackets but not all sports jackets are blazers. All we can agree on is the fact that it is a tailored coat. What kind of tailored coat it may be is something completely dependent on the taste of the wearer. With this in mind, perhaps the key to the contemporary custom tailored blazer’s success is its softness of aesthetic. 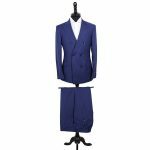 It is this relaxation in terms of the cut and construction of a tailored coat that is underpinning the blazer’s evolution. However, according to Ashish & Pawan of Knights & Lords, the texture of a blazer is now as important as its cut: “You can dress up or dress down a tailored garment with texture, and the blazer is no different. A classic fine worsted is timeless and quite formal, but if you can find a cloth with a bit of natural sheen then you are looking at more of an evening blazer or cocktail coat. Cut your blazer in a soft new boucle weave or wool-silk hopsack for a chic, contemporary look. Colors like a forest green or tobacco brown suit a modern blazer as much as the traditional navy.” This sums up the inherent hybrid nature of the custom blazer, literally presenting it as the ultimate sartorial chameleon, alluding to its versatility and capacity to move between different environments and social contexts. 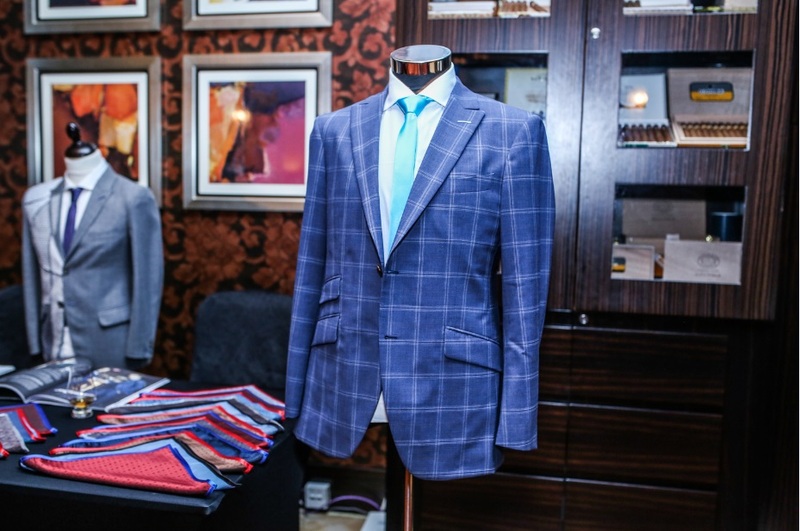 It is quite a feat, and it goes some way to demonstrating how the bespoke custom blazer has transformed itself from the buttoned-up jacket of the establishment. At last, it is no longer the preserve of the stuffy elite or the conformist, but an elegant garment of unwavering sophistication, a tool for sartorial self-expression and the ultimate contemporary wardrobe staple. For those who wish to throw their gloves at the feet of traditionalism and yet remain thoroughly sartorial in appearance, this new generation of unorthodox custom blazers is the answer to a prayer.